EasyFind is a desktop search engine with features that are not present in its competitors. Built to be small, fast and powerful, EasyFind does not require indexing and can search for files and folders not only by their name but also by advanced Boolean operators, wildcards and phrases. All of this would be irrelevant if the user interface of EasyFind for Mac was unfriendly and unsuited to be used by anyone from novices to professionals. This thankfully is not the case, with developers from DEVONtechnologies managing to tract very intuitive dashboard that directly on its surface showcases the most commonly used filtering tools that can help anyone to easily discover anything they are searching for. 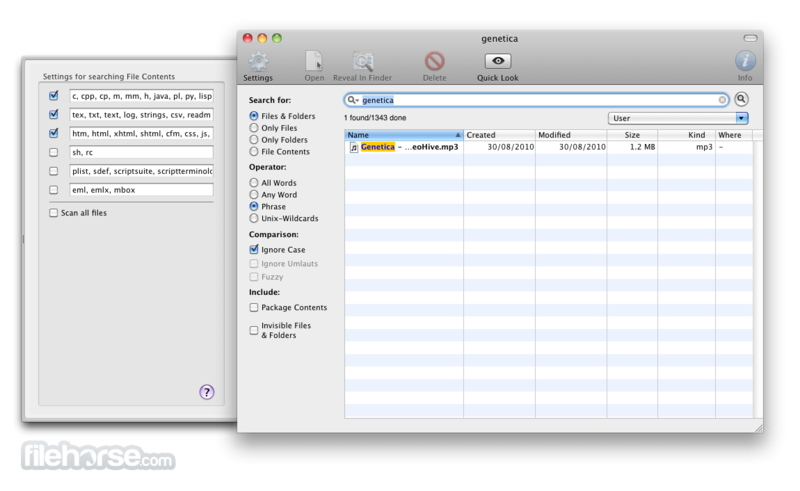 These filters include searching inside compressed archives, not ignoring invisible files and folders, ignoring case and much more. Each found file also showcased its creation date, modified date, size, extension and location where it was found. 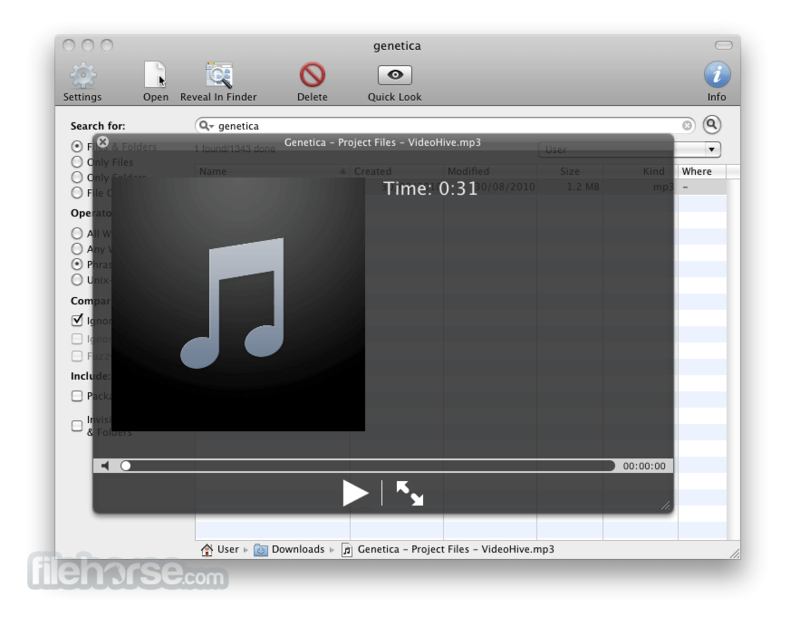 Music files can even be previewed directly from the app with a simple audio player that supports several most popular audio formats. For better presenting results of your search queries, all found files or directories have their own preview window with additional data points, and ability to directly manipulate them with few options on the spot. Everything that EasyFind offers to you is free, so what are you waiting for? 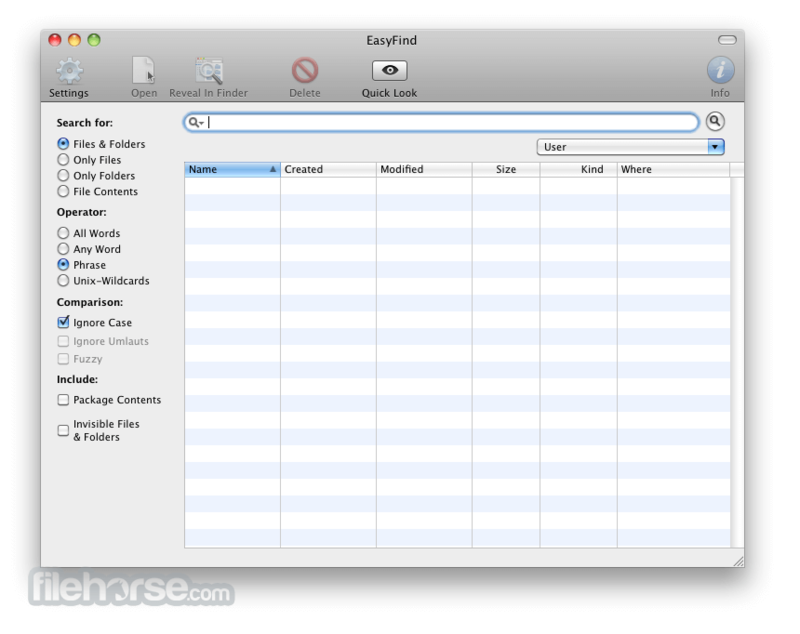 EasyFind is very lightweight, fast and can easily run on any Mac configuration that has OS 10.5 or newer.